Independent watchmaker MCT has just announced Sequential Two S200, featuring the brand’s trademark louvre time display powered by a newly developed automatic movement. MCT went quiet for a while after its co-founder and technical head Denis Giguet left in 2011, but it has now unveiled the Sequential Two S200. Inside is a brand new automatic movement with a micro-rotor developed in-house by MCT, which stands for Manufacture Contemporaine du Temps. 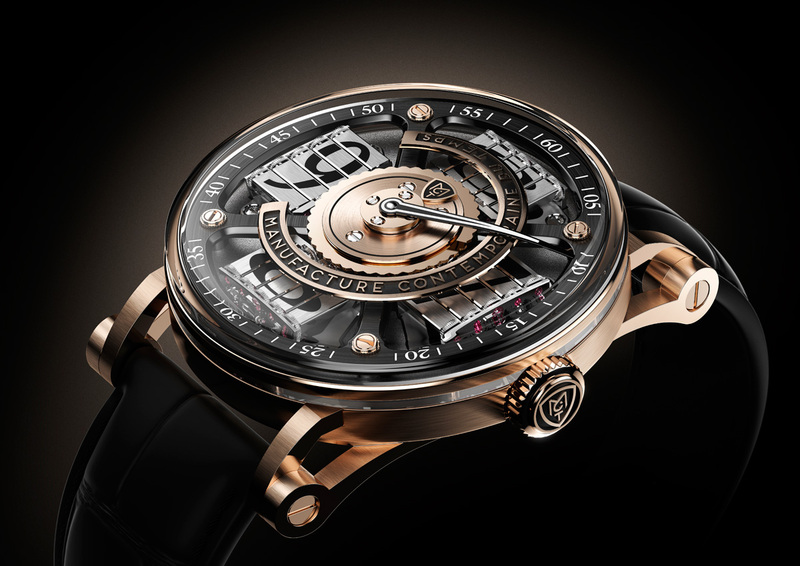 The new Sequential Two S200 retains the novel time display of the first Sequential One, MCT’s first model. Each hour numeral is display by rotating louvres, arranged in a quartet around the dial. The current hour is indicated by a jumping C-shaped frame, while the minutes are indicated by a conventional minute hand. 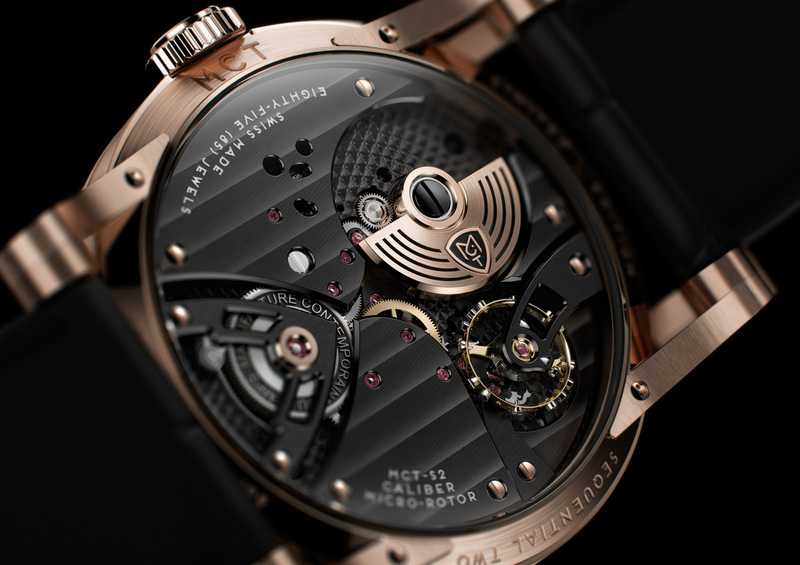 Because of the complex display, the movement has a striking 507 components, while a conventional time-only movement needs only about a fifth of that. Finished with a dark ruthenium plating, the movement has a solid gold micro-rotor and a power reserve of 40 hours. 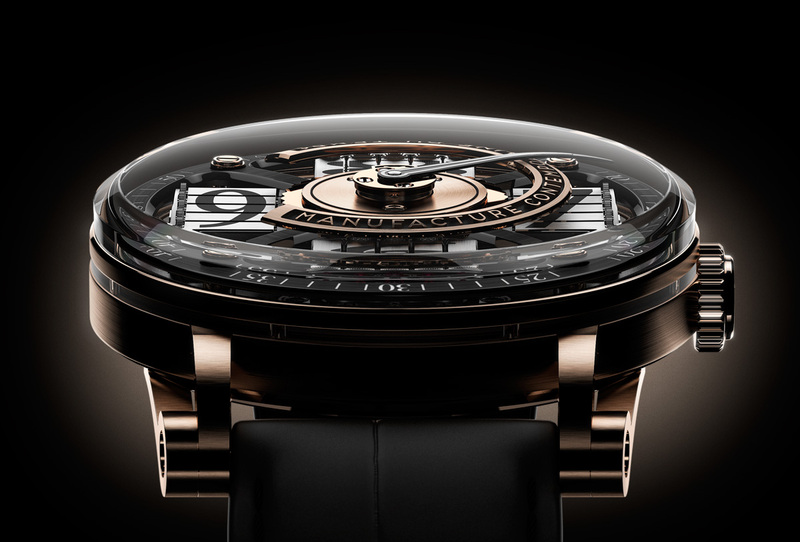 For the first time MCT is using a round case (its first watch was square), which measures 44.6 mm wide and 14.5 mm high. It has distinctive open-worked lugs, and a sapphire crystal that extends right to the edge of the case, revealing the dial in its entirety. 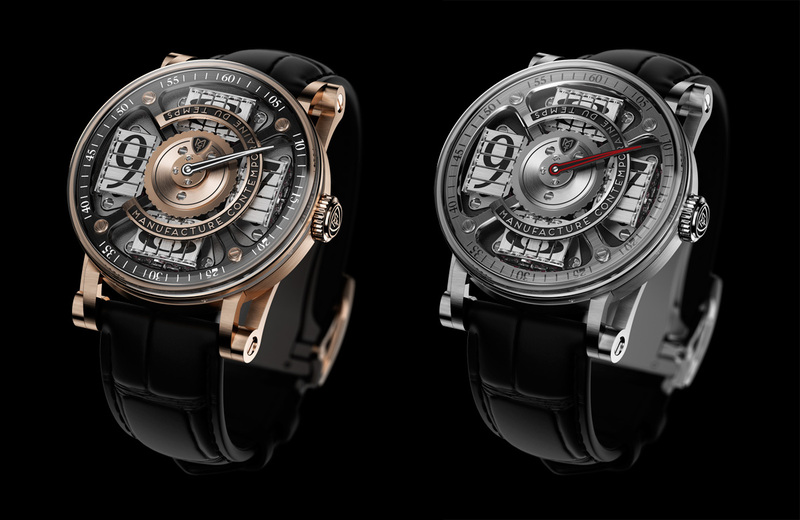 The Sequential Two S200 is available in red gold with a black dial or white gold with a silver dial. Both versions retail for 92,500 Swiss francs (~US$106,000).